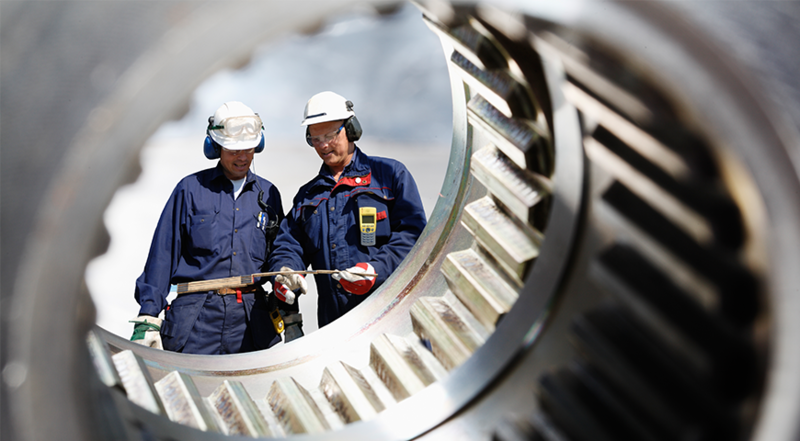 The Maintenance Course focuses on the importance of proper equipment maintenance in the manufacturing industry, and discusses how maintenance affects the safety, quality, profitability, and reliability of a company. The first two maintenance modules introduce the types of manufacturing maintenance and the concept of machine reliability. The next two modules provide in depth information on two maintenance methods: planned preventive maintenance and predictive maintenance. After this, the next four modules each discuss the maintenance of specific systems including electrical, pneumatic, hydraulic, and mechanical systems. The last few modules of this course, introduce the learner to maintenance programs, maintenance information systems, and the economic impact of maintenance. The Maintenance modules include activities and assessments to reinforce the learning objectives. The virtual reality environments created for this course involve a simulated factory setting in which students can apply their new knowledge of maintenance procedures. Exposure to this material provides learners with the knowledge and skills needed to obtain positions in the field of advanced manufacturing.